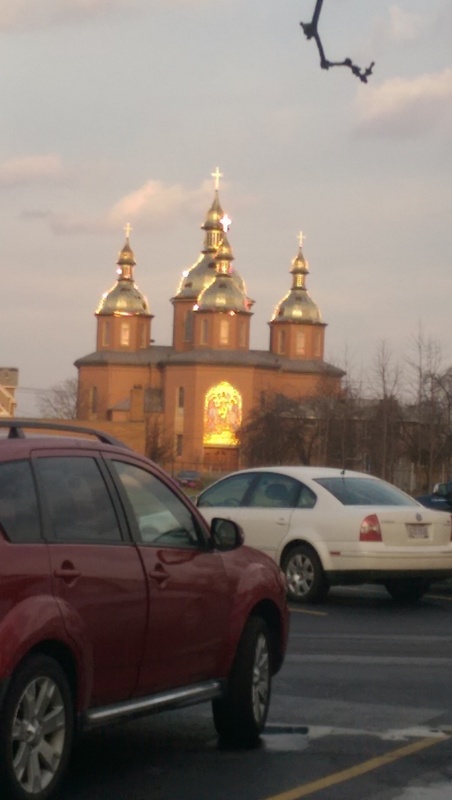 St. Josaphat Ukrainian Catholic Church in Parma is probably one of my favorite fish fries in Cleveland. 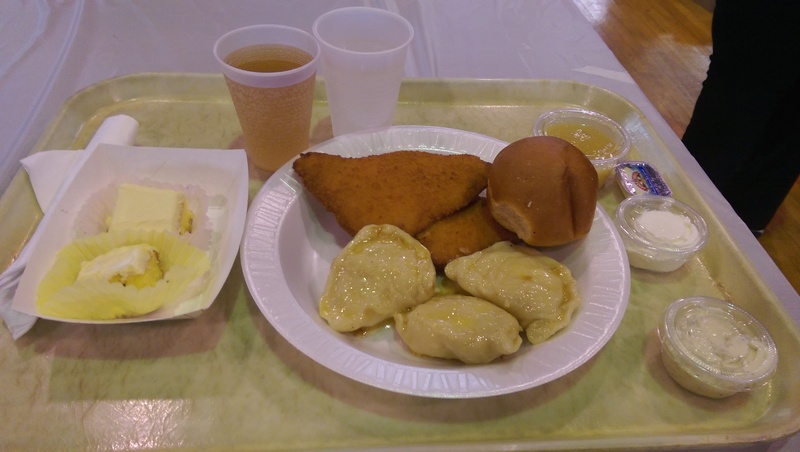 They have a wide variety of choices, including borscht (Ukrainian beet soup) and salmon, baked fish, baked cod, fried cod, or fried shrimp dinners served with their heavenly homemade pierogies, French fries, cabbage and noodles, or potato pancakes. You also have the choice between coleslaw and applesauce, but get there early or you will only have applesauce. They also offer pizza for the kids. All dinners also come with a dessert and beverages such as coffee or tea, cola, ginger ale, 7-up and water. It is in the rotunda behind the church buildings. There is plenty of parking. Pull in where the sign says Enter. The fish fry is a well-run machine. 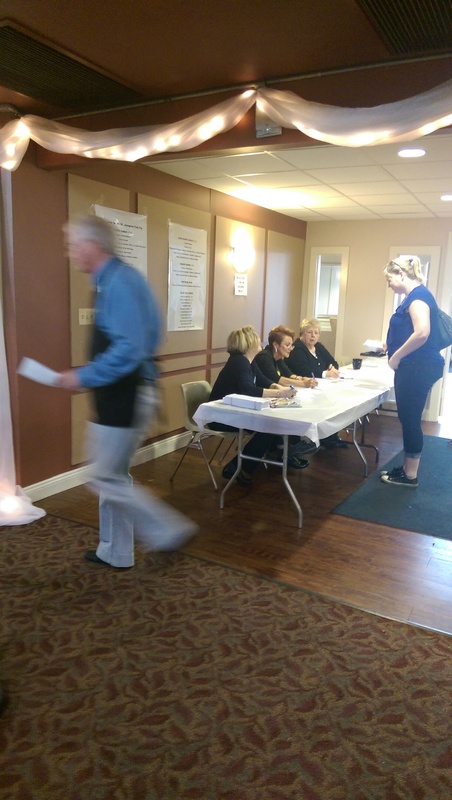 You tell the greeters which dinner you want, along with any extras, and they mark it on a piece of paper, which you then bring to the cashier. They only take cash or checks. Dinners range from $8.00 – $14.00. After you have paid, you take your stamped paper and queue up in line for the food. 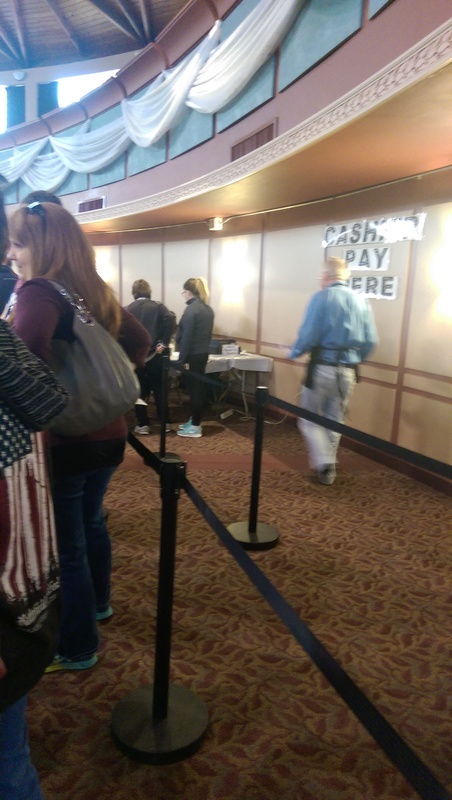 The line is long, but it moves fairly quickly. There aren’t a lot of stations where you need to think and consider a choice, which tends to slow things down. Once you get to the food table you are given a tray with a plate and plasticware, and the greeter tells you which steam tray contains the food you ordered (in my case #3). You then work your way down the line picking up your side, a roll and butter, and containers of coleslaw or applesauce, cocktail sauce, sour cream, and tartar sauce. You follow the circular path of the rotunda wall as you go along. Walk past the take-out station to choose from a variety of desserts on another table. The drinks are on tables after the desserts. I grabbed two because I was thirsty. I really should just give in and just order the pierogi dinner here, although the salmon and baked fish also seemed very popular. The fried fish seems like food service since the filets were shaped so uniformly, but they weren’t overcooked or fried beyond recognition so points there. The fish here is just okay. On the other hand, the pierogi here are amazing, and I suspect my grandmother used to buy her pierogi here instead of making them herself. This was, after all, her home church back in the day. The pierogi are cheese and potato, and the dough is perfect and moist. They are sitting in butter and minced onions in the steam tray. You get three pierogi with every fish or shrimp dinner, but you can order more. Like most church fish fries you shouldn’t count on the food lasting to the end. 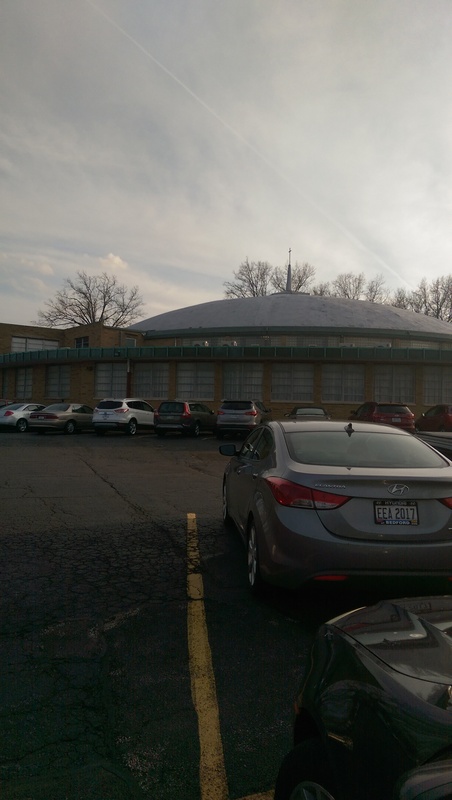 I wasn’t hungry right at 4:00 (plus I didn’t want to deal with the traffic on E. 55th and the Jennings Freeway, so I rolled up to St. Josaphat at around 6:40. They had already run out of coleslaw, and the desserts were looking mighty meager and picked over. On the bright side, there was plenty of available seats. The rotunda is filled with long tables and some round tables on the opposite side of the food service. 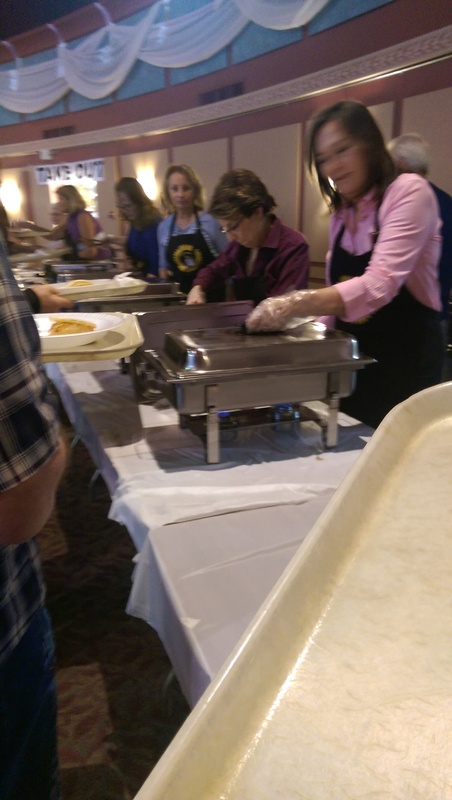 Volunteers take your trays to bring them back to the front of the line during the peak dinner time. In any case, they shut down at 7. I felt badly for the cars driving in as I left, as the place had pretty much cleared out by then. I hope they were driving there to pick up their spouses. The volunteers were all very friendly, and a nice volunteer who was cleaning the tables off even brought me a box so I could bring half of my meal home. All told, I spent $12 and had two pieces of fish, three pierogi, applesauce, a roll, a piece of lemon cake and two soft drinks. I will enjoy my one piece of fish and one pierogi, half my applesauce, and half a roll for lunch tomorrow. And I really should have bought a dozen pierogi to go.